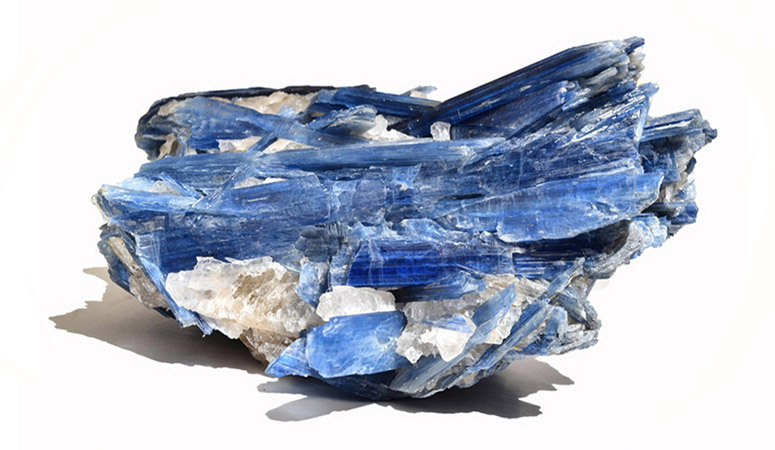 Kyanite, also called Disthene, is an extraordinary crystal of connection, building bridges of light between disparate energies and harmonizing communication. 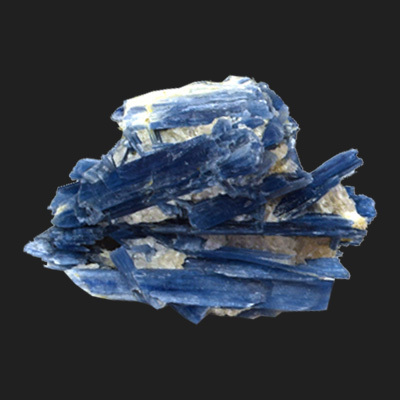 It opens psychic channels for transmitting or receiving healing energy and aligns the chakras, bringing tranquility to the whole being, Kyanite is optimal for meditation, lucid dreaming and enhancing intuition. 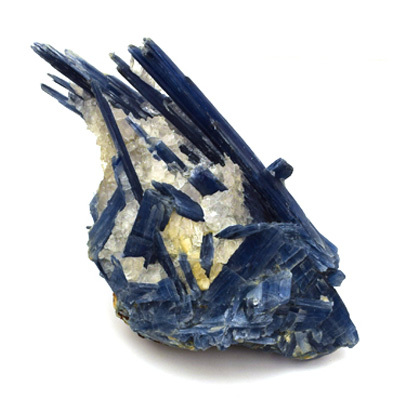 Like Citrine, Kyanite is neither accumulates nor retains negative energy, and therefore never needs cleansing and may be used for clearing other crystals. 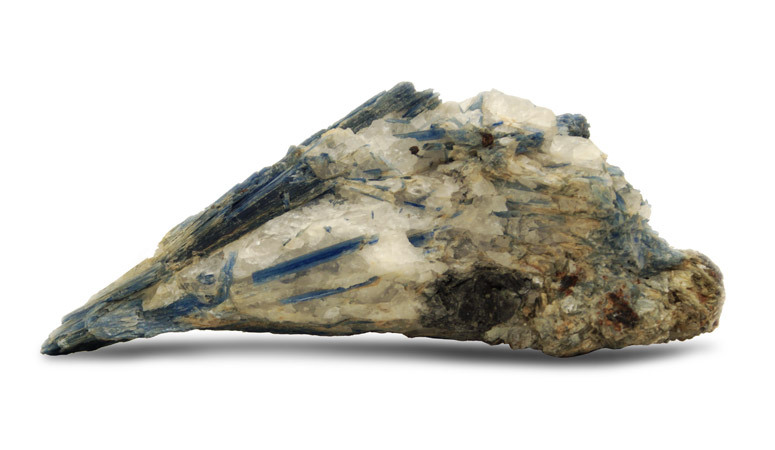 Kyanite is an aluminum silicate mineral found mainly in metamorphic rocks. 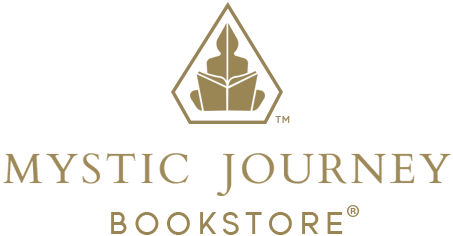 It typically occurs as a bladed crystal, although it sometimes occurs as radiating masses of crystals. 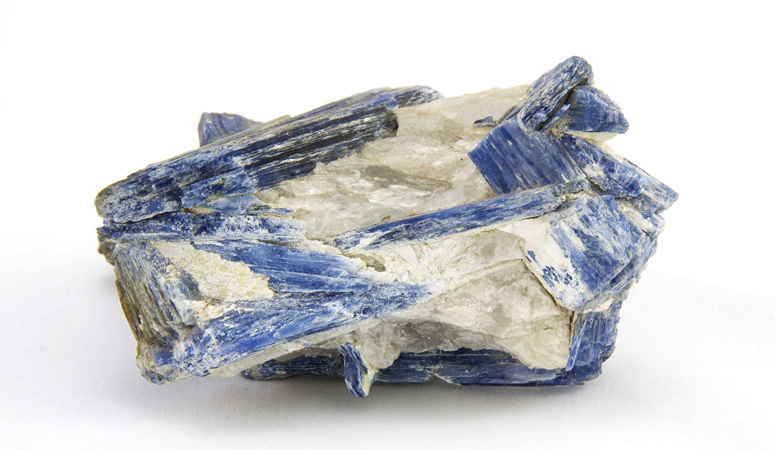 The name Kyanite derives from the Greek word Kyanos, meaning blue. 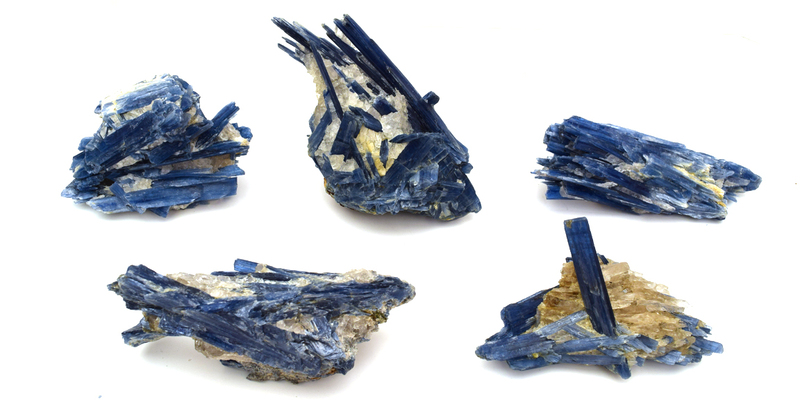 Kyanite is used in the manufacturing of spark plugs as well as in ceramic products, including dishes and plumbing fixtures.